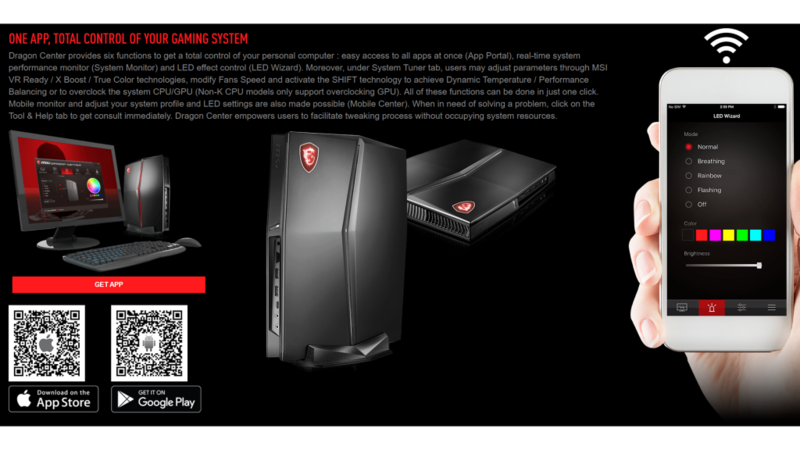 MSI is known to pretty much everyone that in the know about PCs, but they make more than just graphics cards. They actually have a expansive collection of products from headsets to laptops and so much more. 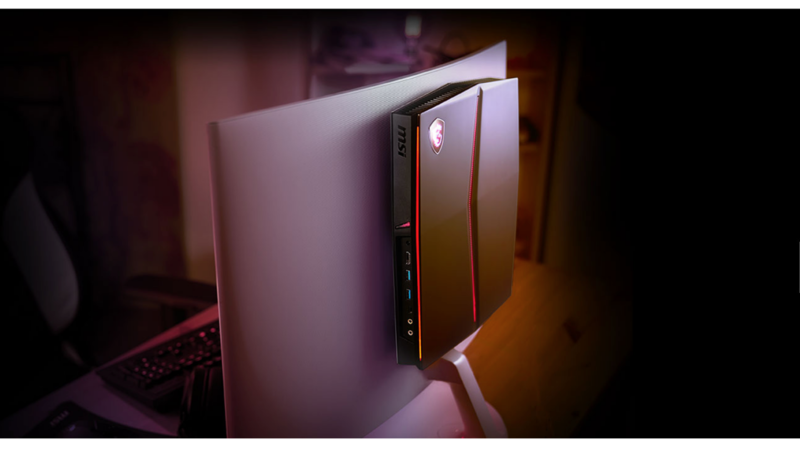 Today though they have released a brand new ultra compact desktop PC with a fully fledged GTX 1060 or 1070 and a 8th gen i7 processor. The design is not as aggressive as some as their other products but it still fits in with MSIs ethos. It measures in at 279 x 43 x 331mm which is fairly close to console size. This is mighty impressive considering the tech it has packed into it. I mean the One X from Xbox is 300 x 240 x 60mm so you get an idea just how compact this PC is. 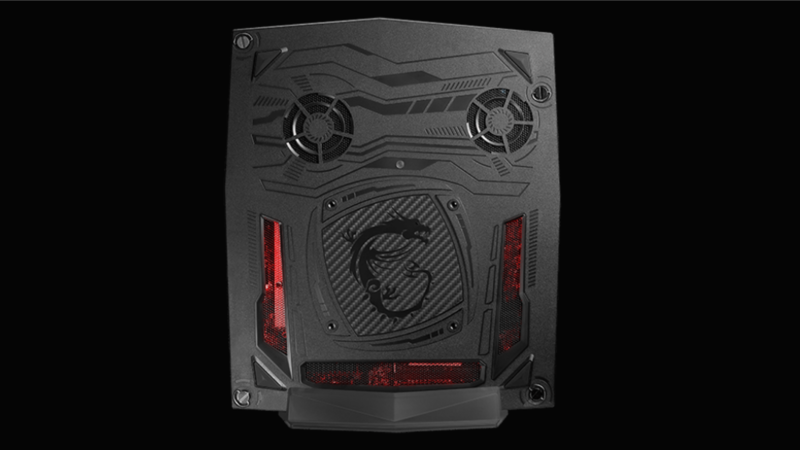 Thats not at all its got the ability to be mounted to a desktop monitor or your TV thanks to VESA mounting options. 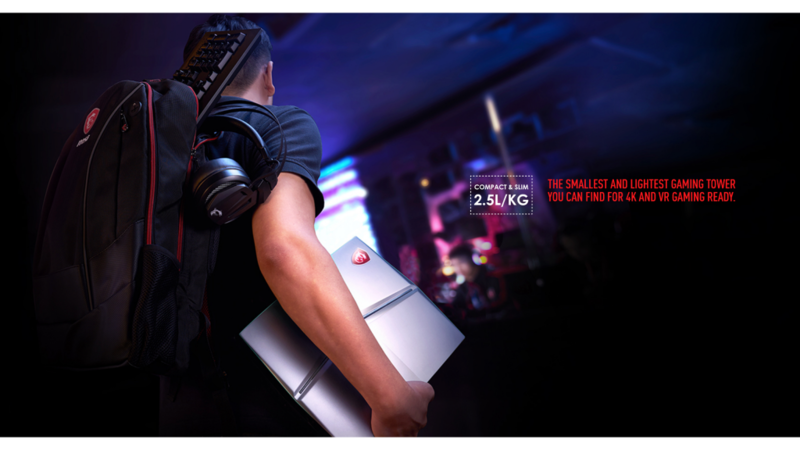 Its VR ready and capable, has RGB features, app control and if you so wanted, you could take it with you as it only weighs 2.5KG. The one thing I am concerned about though is thermals. 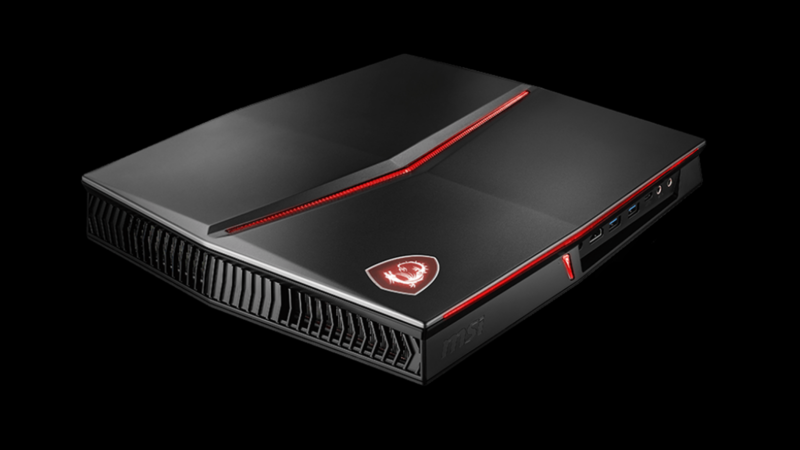 Having tested these systems in the past I do know from experience that both the CPU and GPU can get hot, so it’ll be interesting to see how MSI will combat this. They have sort of addressed this issue with something called SHIFT, which is a dynamic performance and temp balancing software. 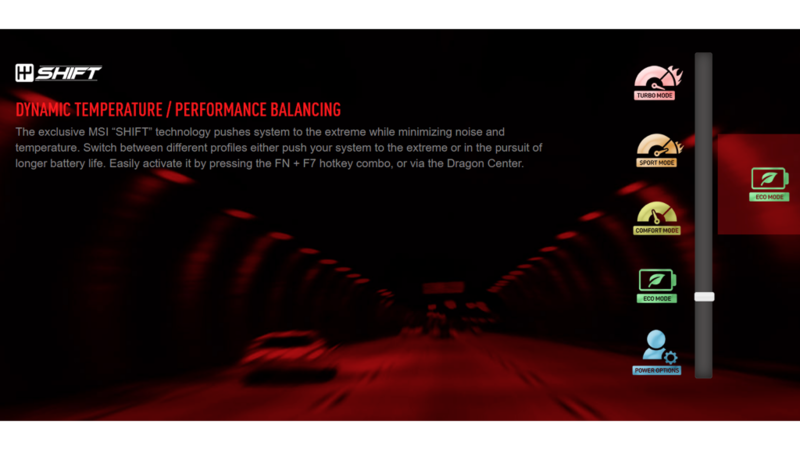 It switches between a few different preset modes that will try to balance the core temps while keeping performance strong. Will it work though? They are all promising Hi-res audio, up to 5x faster speeds with M.2 support, superior RAID storage options and LAG protection. 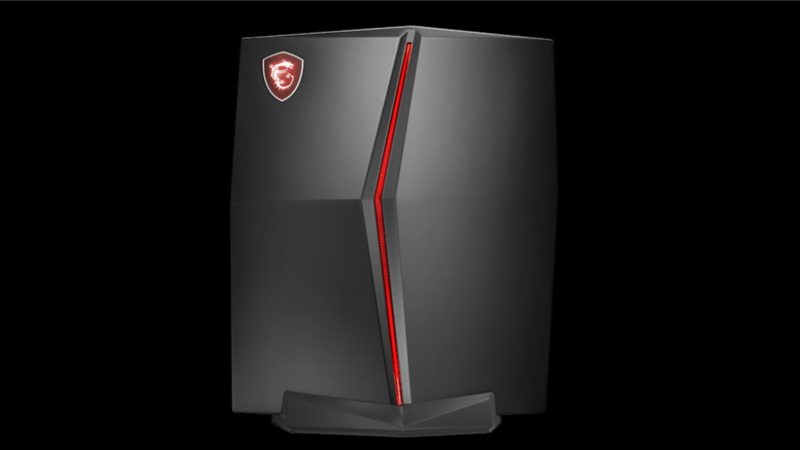 I mean it does sound very impressive and its looking like a promising alternative for those that want a fully fledged desktop PC without a large tower. 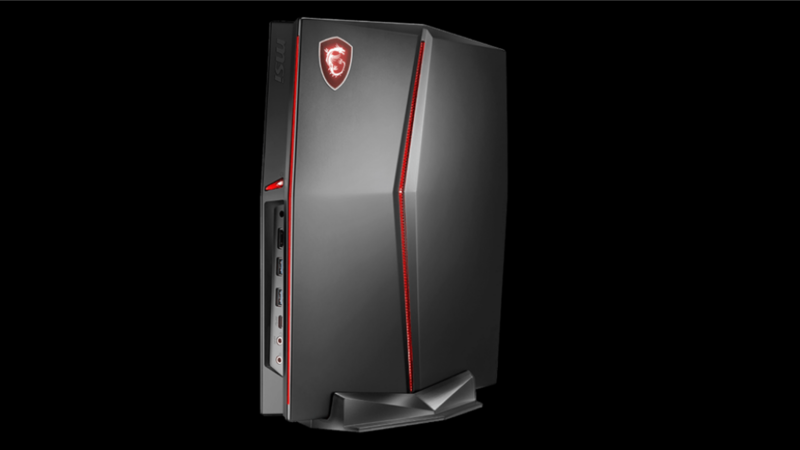 The first model available is the i7 8700 and 1070 variant which will set you back a cool £1999. It’ll be available for purchase on the 10th November and if you want you can pre-order on Amazon.co.uk right now. But I’d suggest waiting until the reviews roll out and see if its got any issues. It may not have, but when its 2 grand at stake, its better to be 100% sure.